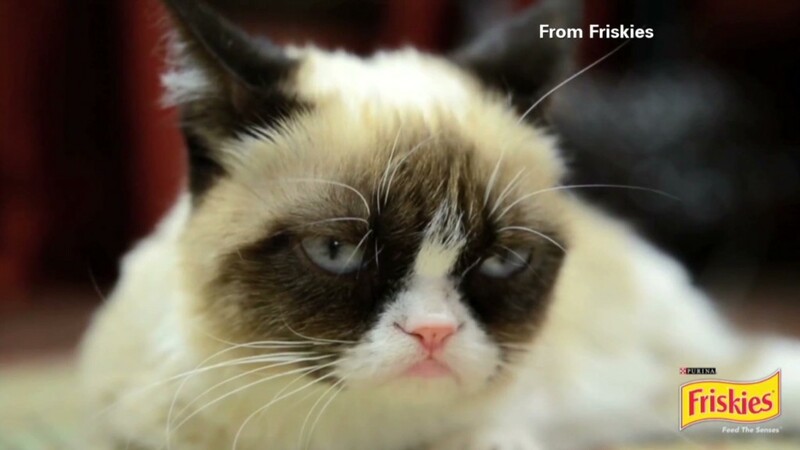 Grumpy Cat has a celebrity endorsement from Friskies. Meeeeeeow!!! Pet food company Nestle Purina PetCare has hired Grumpy Cat -- whose real name is Tardar [sic] Sauce -- to be the official "spokescat" for its Friskies brand. The cat's first official duty will be a live appearance at the annual Friskies cat video contest awards on Oct. 15, where she will receive a lifetime achievement award. The cat's inexplicable permafrown has made it an Internet sensation, allowing its Texas-based owner Tabatha Bundesen to sign business deals with a coffee company named Grumpy Beverage and also movie producers to use the cat's image. The owner's brother Bryan Bundesen made the cat famous by taking her photo and posting it on Reddit on Sept. 22, 2012, when the cat was only five months old. To dismiss rumors that the cat's image had been manipulated, the owner posted videos of it on Youtube. The cat's perpetually frowning visage quickly became an Internet meme and is typically accompanied with phrases like "This is my happy face" or "If you're happy and you know it, go to Hell." Bryan told CNN in May this year that Grumpy Cat had already earned "six figures" for its owner by licensing her image to various brands, including a coffee drink called Grumppuccino. The owners claim, on their Grumpycat web site, that they don't know the cat's breed. They attribute her small size and perpetual scowl to "feline dwarfism." But they make a point of saying she was not "bred purposefully" as a "munchkin cat." The cat owes its real name to a misspelling of the word "tartar" by the owner's daughter, who believes the cat's fur resembles the color of tartar sauce. 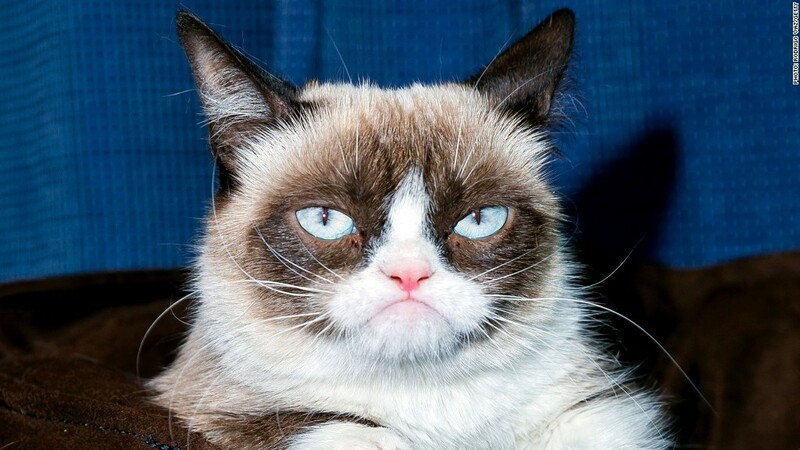 Grumpy cat's representatives at the Nestle (NSRGF) Purina said: "It's our policy not to discuss the financial terms or other details of the agreement."